There's a terrific band and a real nice crowd... So one of the opening songs goes. Not all the magic is here in this lost musical of loneliness and rediscovering life. But as a vehicle for a star performance by Jessica Martin, it's great. Martin plays lonely widow Bea who runs off to a ballroom and finds herself living life again. She's vulnerable, she's stunning and she has a great singing voice. It's currently playing at Waterloo East Theatre. Ballroom was Broadway legend Michael Bennett's follow up to A Chorus Line. He produced, directed and choreographed the piece. With a book by Jerome Kass, music by Billy Goldenberg and lyrics by Alan and Marilyn Bergman it became a labour of love for him. So much so that he spent £2m of his own money producing it. It opened in 1978 and ran for just over 100 performances. The life of a lonely widow running a junk shop with her sister-in-law and the magic of a beautiful ballroom filled with dancers is meant to be the contrast and drama in this piece. It is less a musical than a drama with music and dance. 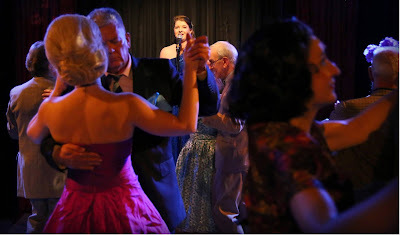 The ballroom is a metaphor for life and Adam Anderson and Danielle Morris as the ballroom singers provide commentary on the action. But it is important to have this properly staged to carry off the illusion. Otherwise you're left with an awkward story about a lonely widow who sleeps with a married mailman. And nobody wants to see that. At least Martin keeps her likable even as she becomes the other woman. No doubt it's the fabulous hair and dresses that make her get away with adultery. She also delivers with power the torch song "Fifty Percent". Where she realises that she won't have all the man she wants. It's a song that has become a cabaret standard that ends the piece with a bang. 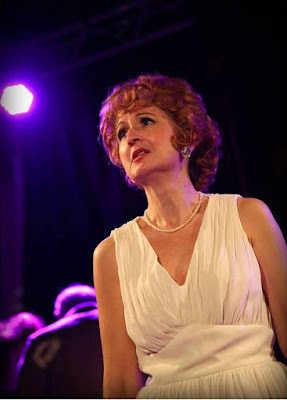 And she is supported by a cast of musical theatre veterans. If you were ever wondering what ever happened to so and so you might find that they're alive and well here. A show to take a divorcee or a not-so-merry widow to check out. 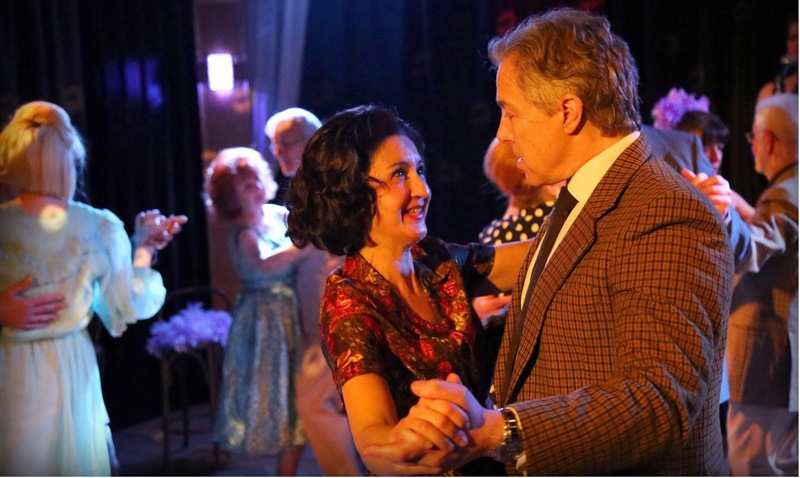 Directed by Gerald Armin, Ballroom is having its European premiere at the Waterloo East Theatre until 4 June.